You may be aware that I am the National Policing Lead for hate crime and the National Police Chiefs’ Council’s representative to your group. I’m sure that, like me, you have seen the heartbreaking coverage of the Anti-Muslim terrorist attack in New Zealand. As any decent person in our society, my first thoughts are sympathy for those directly affected by the tragedy, but I understand also that such attacks cause immense fear in the broader community, even those of us on the oppo- site side of the world. Whilst I am not fully aware of the circumstances of this latest tragedy, we do know that the ideologies that fuel such disgraceful acts need to be challenged. We have seen evidence that the perpetrator was motivated by perverse views that sadly exist in all societies and was influenced by global events, including some from the United Kingdom. We also know that there are sympathisers who will be slow to condemn or even condone such outrages. We know from experiences that similar racist individuals seek to create division between communities and to raise fear throughout the world. We can never allow such division to fester and I want to give an absolute commitment that I stand in solidarity with Muslim communities in the UK and elsewhere. I was immensely touched to see the shows of solidarity with victims of terrorist attacks here in 2017, such as the Muslim women who, in March, lined Westminster Bridge to demonstrate their outrage at the similar mindless violence demonstrated there days earlier. It is again vital that all communities come together to show that such violence will never break our determination to live together peacefully. I also realise that it is not just Muslims who are fearful, we know that a key feature of bigoted offenders is that they are hugely ignorant and that Sikh’s, Hindu’s and many others have been victims of anti-Muslim hatred. This is another reason why our #WeStandTogether message is so important. In response to the latest attack, I have been in touch with counter-terrorism colleagues and I am reassured by the swift response. There is currently no information to indicate any planning of attacks against Mosques or any other faith communities in the UK. However, local police will be increasing patrols and visits to Mosques, and to all places of worship, to help reduce fear and to provide reassurance. The public can also report any suspicious behaviour or activity to the confidential Anti- Terrorist Hotline on 0800 789 321, in an emergency the public should always call 999. I will continue to work alongside local police chiefs and our national partners to monitor tensions and carry out national reassurance work, where we use existing tools, such as True Vision and the #WeStandTogether campaign, to target messages of reassurance to affected communities. At this time I want to assure you that we are and will be doing everything we can to ensure that Muslims, alongside anyone of any faith or race, feel safe and secure to go about their lives without fear of persecution or discrimination. We have made some funds available for printing of the safety advice leaflets produced by our key partners at Tell MAMA, which will be made available to police forces and partners. 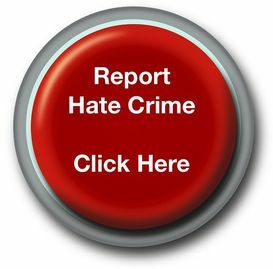 will respond robustly to any hate crime. I am content for this letter to be shared with Muslim community groups.